….that there were reports of the kids jumping onto your boat. We hadn’t expected hitchhikers taking advantage of a free ride. 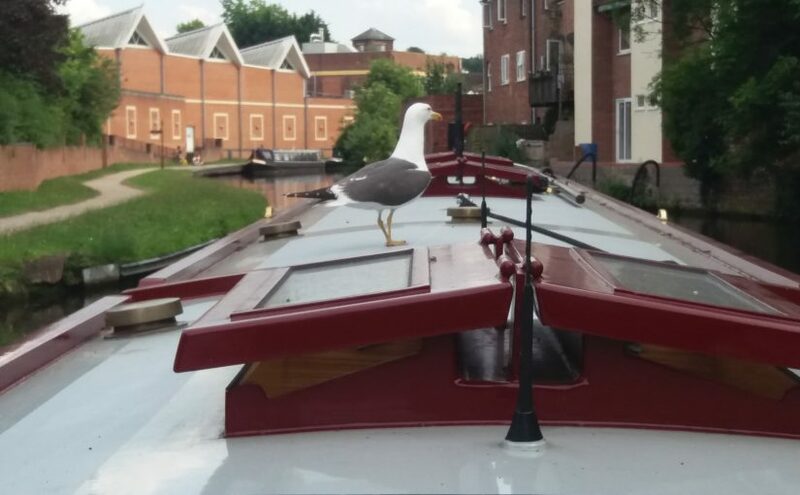 Sadly we were told on several occassions not to leave the boat unattended in Kidderminster. This becomes a self fulfilling prophecy as we don’t have the knowledge to dispute it. And of course we don’t want to risk our boat so we heeded the advice. The roads out might be some peoples first choice but we took the lock and went underneath this 6 lane intersection. 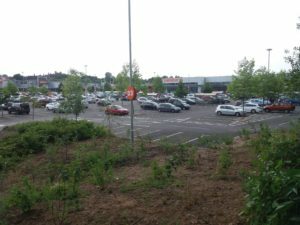 However Kidderminster did have several good points, including a huge Sainsbury’s, Maplin and PCworld. Plus a host of other top name retail outlets. In my previous life I could easily have spent a day or two meandering around these halls of temptation, but now I was happy just to pick up the essentials and flee. 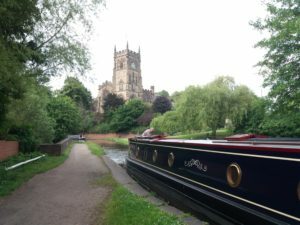 Our journey now goes on to Stourport. 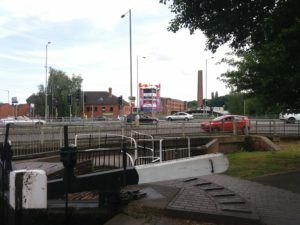 Next Next post: Stourport on Severn.